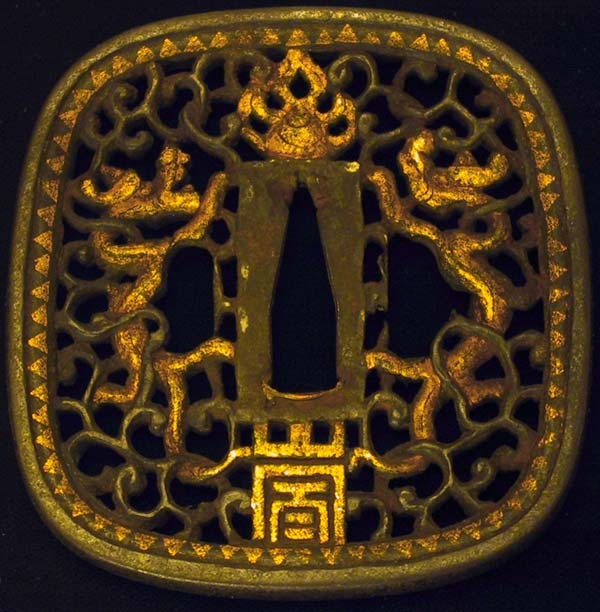 This is one of the nicest namban tsuba I have ever seen. It is a large, thick nicely pierce piece of work. It measures 3 1/4" high X 3" wide. 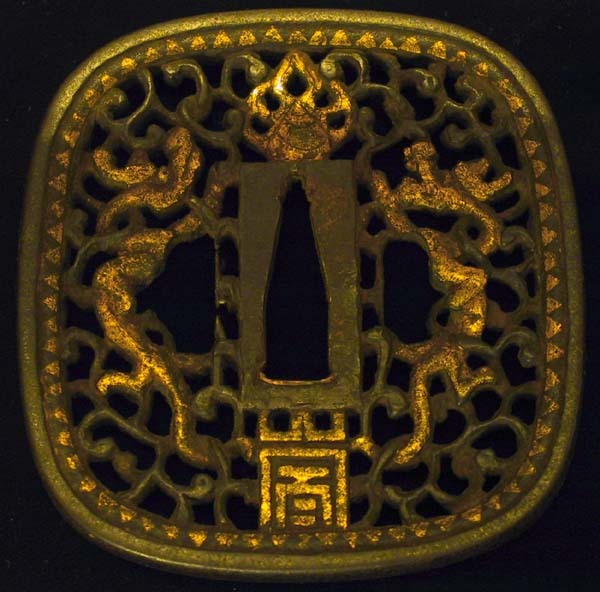 This masterpiece would be the best representative namban tsuba for any collection.